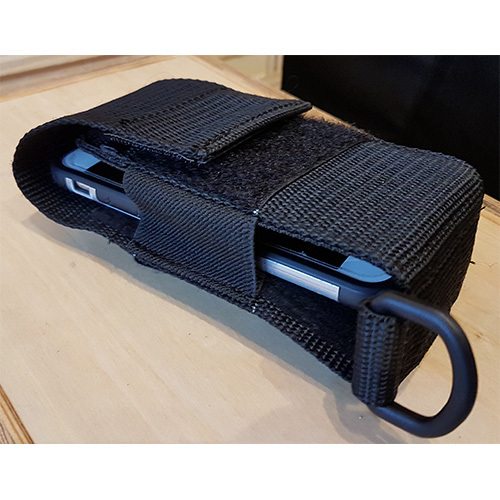 Belt pouch designed specifically to hold an iPhone, Android, or other Smart Phone. Like all Authentic Crew Gear pouches, the Smart Phone pouch is extremely durable, compact, and light weight. It provides easy access to your phone while keeping it secure on your tool belt. The inside of the pouch is fully lined with soft cotton to protect your screen no matter which way you put it in.